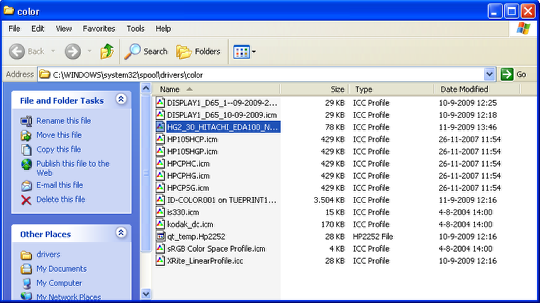 Install ICC color profile for projectors in Windows XP | Christoph Bartneck, Ph.D. 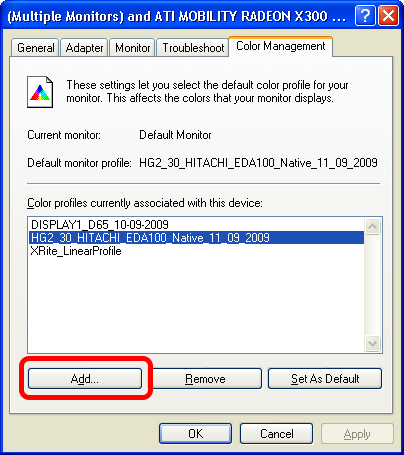 This tutorial shows you how to install an ICC color profile (also known as ICM) for an external projector in Windows XP. Make sure that all color adjustments in the projector itself are switched, so that they do not interfere. Open the Display Properties (right click on desktop > properties) and select the “Settings” tab. 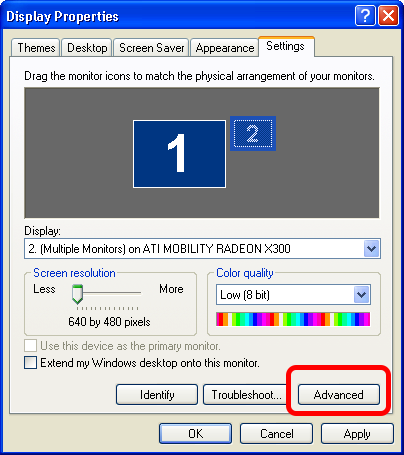 Select the secondary display (projector) and click on “Advanced”. Click on “Add” and select the appropriate color profile. It will then appear in the list above.